Cities are composed of a combination of urban and rural spaces, buildings and boundaries, and human bodies engaged in political, social, and cultural discourses. Together, these combine to create what the contributors to this volume call multiple landscapes. 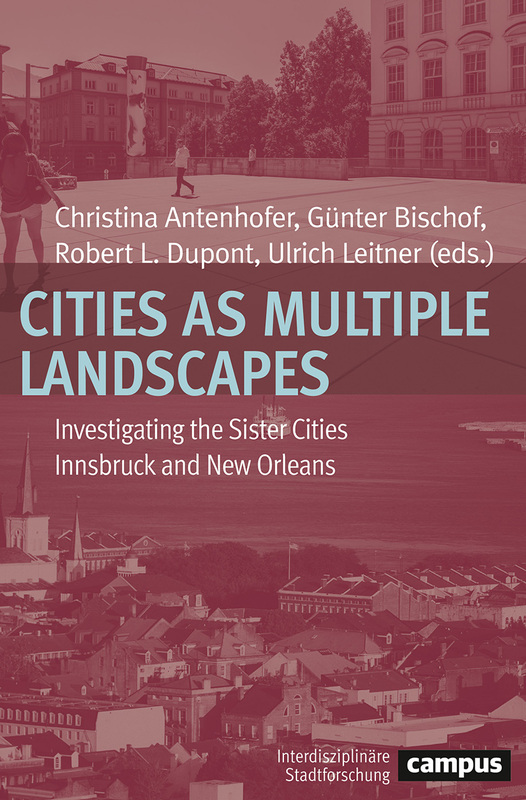 Developing a new theoretical conceptualization of cities, this book unites American and European approaches to comparative urban studies by investigating the concept of multiple landscapes in two sister cities: New Orleans and Innsbruck. As the essays reveal, both New Orleans and Innsbruck have long been centers of multicultural exchange, have strong senses of historical heritage, and profit from the spectacular geographies in which they are situated. Geography, in particular, links both cities to environmental, technological, and security challenges that must be considered in connection with aesthetic, cultural, and ecological debates. Exploring the many connections between New Orleans and Innsbruck, the interdisciplinary essays in this book will change the way we think about cities both local and abroad.